Save It. Consider using whatever money you get back from the government to boost your emergency fund. You should have three to six months of expenses saved for a rainy day. Invest It. Your income tax refund might be the money you need to boost your Roth IRA investing up to the annual limit of $5,000. 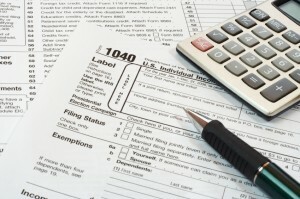 So, if you are not maxing out a Roth IRA, an income tax refund can help. You can also invest money for “last year” if you did not max out in 2009. You can credit money for last year up until April 15th. Pay Off Debt. Your refund might be just what the doctor ordered to help you get out of debt once and for all. Consider using your refund to pay off your high interest rate credit cards. Upgrade Your Home. I am personally planning on stimulating the economy this Spring by buying granite countertops for our house. If you pick your home improvement projects well, you may still be able to recoup a lot of your investment costs when you sell (but probably not 100%). But, you do get the satisfaction of enjoying your renovations while you live in the house too. Also, consider using your refund to make any much needed repairs that you have been putting off instead of going into debt when you absolutely have to make them. Extra House Payment. Did you know that if you made one extra mortgage payment every year, you could pay off your 30 year mortgage in a few as 22 years? That one extra payment can sae you over $100,000 in interest payments. So, consider putting your refund to work for you with respect to your mortgage. These are just a few examples of what you can do with your refund. But, remember, instead of giving the government what equates into essentially a tax free loan, you could just adjust your withholdings.